Mounia has been at Digital Virgo since 2006, currently Deputy CEO and responsible for the African region. 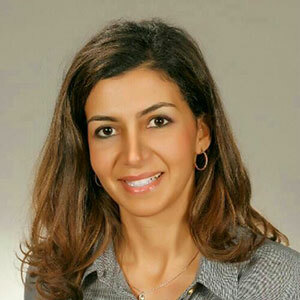 With more than 15 years experience in the entire spectrum of VAS Eco-system, Mounia held various positions as VAS marketing Manager within SFR France and the first private operator in Morocco before joining the group Digital Virgo in 2006. She had the mission to develop internationally Digital Virgo’s activities on the Maghreb region, before joining the subsidiary in Morocco as Marketing Director. She was then responsible for extending the development of the group’s activities more globally in Africa and Middle East. With a strong and good knowledge of the VAS and mobile payment specificities of the African countries, Mounia is today responsible for strategic development and operations management in the region.